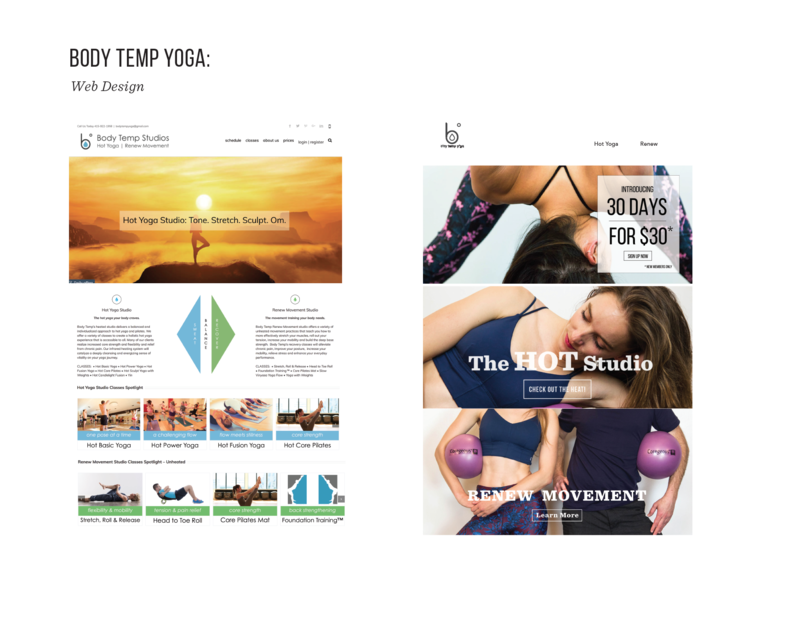 Body temp yoga came to me with a small budget and a big branding problem. 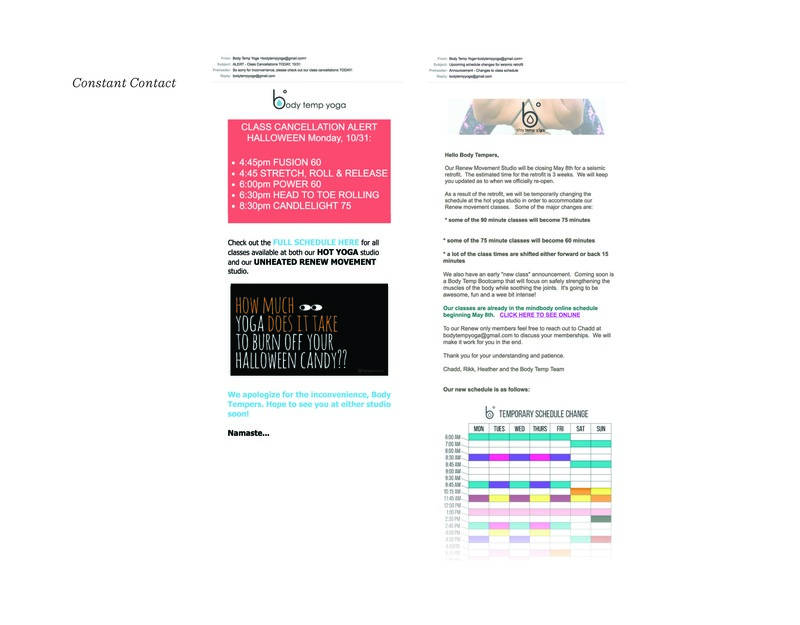 We worked within their current structure and pushed them into an edgier / cleaner feel. It was particularly important to the client for the teachers of the studio to represent the brand so we scheduled a photoshoot with all the teachers. With such a small budget, we took our own photos, used our own lights, and collaborated with another brand Titka collective for free clothing. 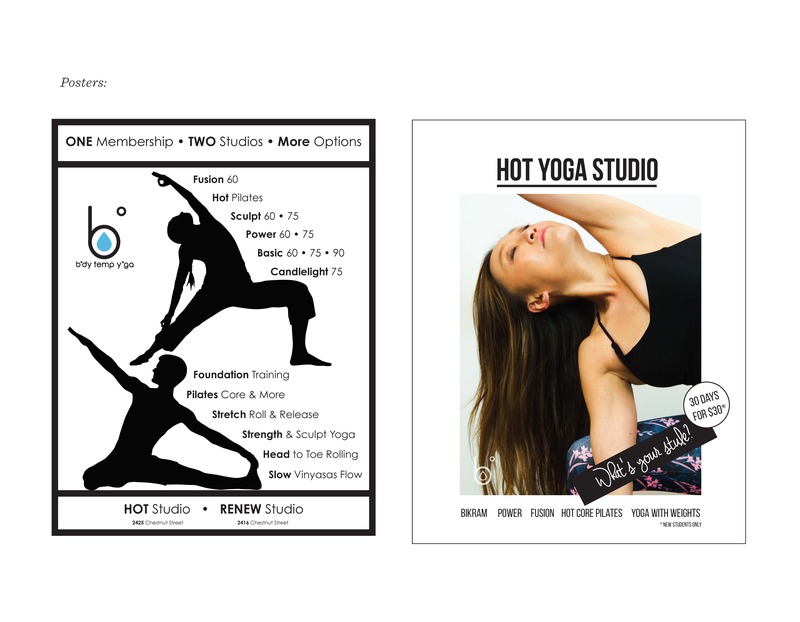 We tried to keep the branding approachable for every woman, avoiding the perfect yoga body, moves and faces. Ultimately deciding on the campaign, This is My Yoga. The idea that yoga is a personal experience and should be done without comparison and perfection.